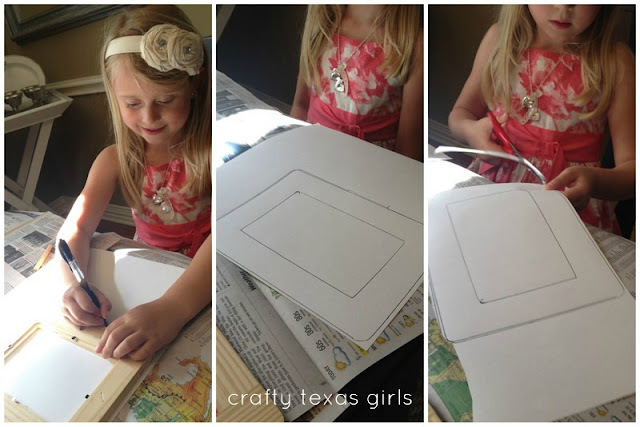 Crafty Texas Girls: Crafty How To: "The Crafty Frame"
With Mother's Day and Teacher Appreciation on the horizon, my girl and I decided to get crafty. So with a little scrapbook paper, a wooden frame, and Mod Podge, we made some sweet, simple gifts. First, trace the frame on the back of a piece of scrapbook paper. Then cut it out. Don't forget to cut out the center too. 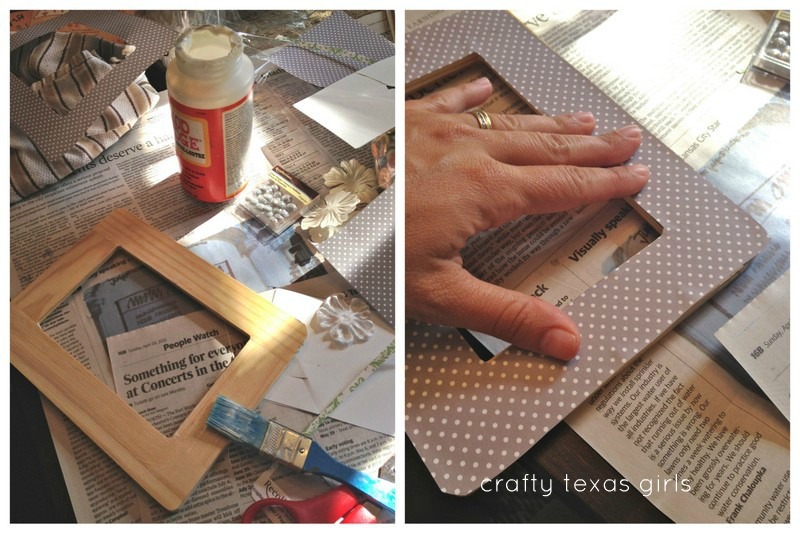 Then paint on a thin layer of Mod Podge to the front of the frame. Place the scrapbook paper on the wet Mod Podge. Then press and smooth out the paper. Now comes the fun part, add the embellishments! 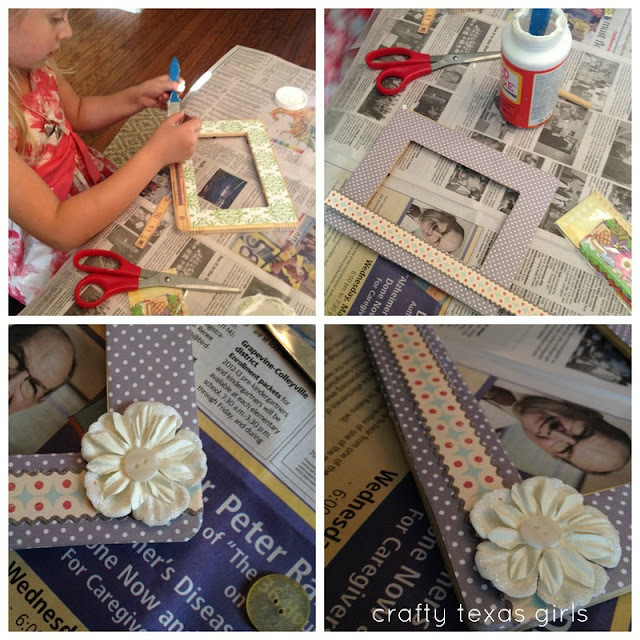 Small items can be attached using Mod Podge, you might want to use hot glue for the larger items. Afton was so proud of her frame :) She used some scrap paper to write a sweet note to her teacher. Such sweet handwriting- I love her spelling of 'best'! This idea works for teachers, moms, or any time you want to give a handmade gift. I am happy to share the printable for your Mother's Day projects. You can click the image below and drag it onto your desktop, or simply download and print. and I made this one for you too! 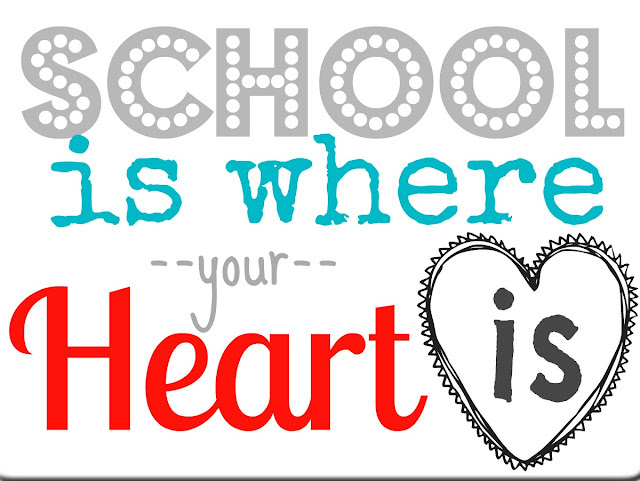 -"Home is Where Your Mom Is"
-"School is Where Your Heart Is"
The frames were so fun and easy. I am going to share it with my MOPS group next week- I can't wait for all 60 of my MOPS friends to make their own frames too. 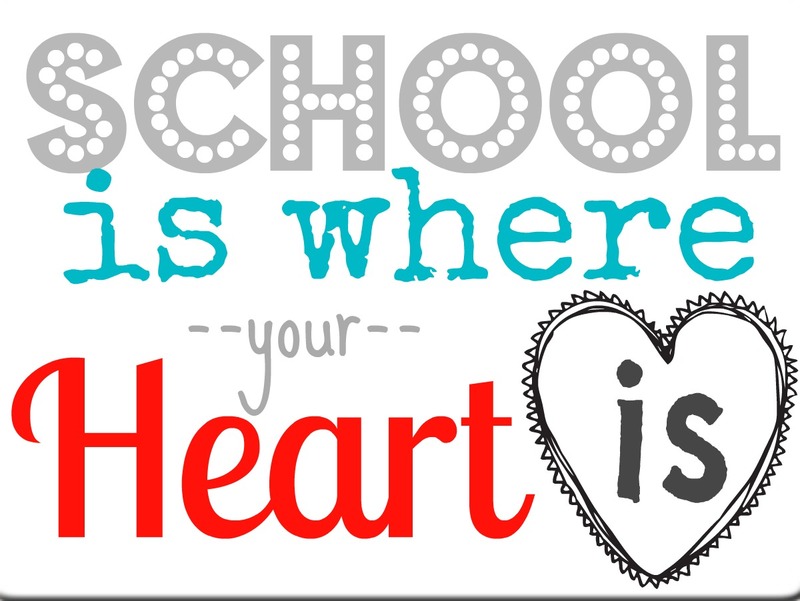 What are you crafting for the Moms and Teachers in your life? Adorable!!! I love them both! well I'll just be darn...I have a little Betty who will love this! Such a cute project! I just pinned this. Thanks for the printable! I would love for you to come share at my link party. What a fun project to do with your kids. I wanted to come by and say thanks for stopping by, leaving me a comment and following my blog. So sweet. And thanks for sharing the hosting duties of the party! so cute! I was seriously just looking for something that said home is where your mom is! 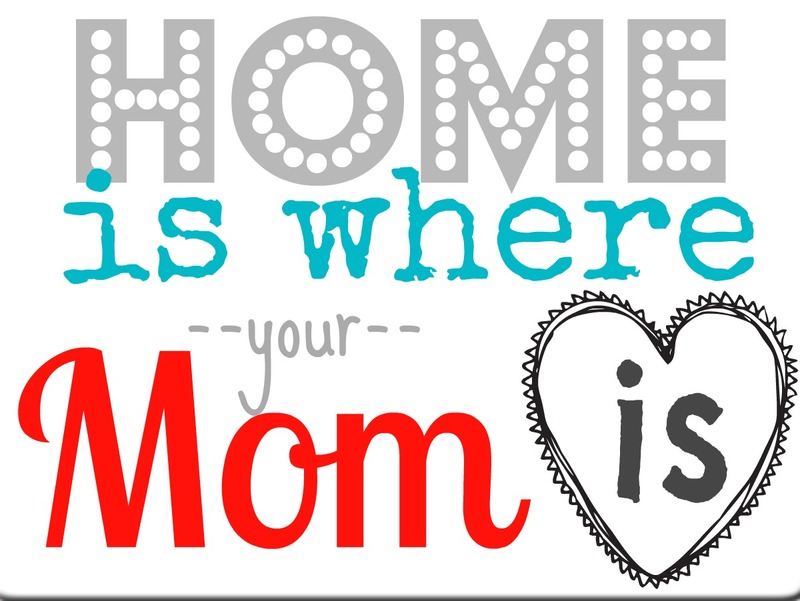 I love that "home is where your mom is" phrase...I was thinking of embroidering it onto some towels for mom's day. Both frames look adorable! I always look at these wooden frames but I never buy them . . . now I know how great they look with a little scrapbook paper magic. Thanks for the awesome printable. I think you saved me for teacher appreciation week. I love making those frames and the ones you made are so cute! I used this and added some digital papers to it. The teachers loved them! Thanks again for sharing. I posted mine at houseofcarrs.com what I did if you want to check it out. This is such a sweet idea and I love the saying. It is so true. I wanted to let you know I featured you this week, thanks for the inspiration! Thanks so much for linking up at Whimsy Wednesday last week. I am featuring you today if you would like to come over and grab a button!